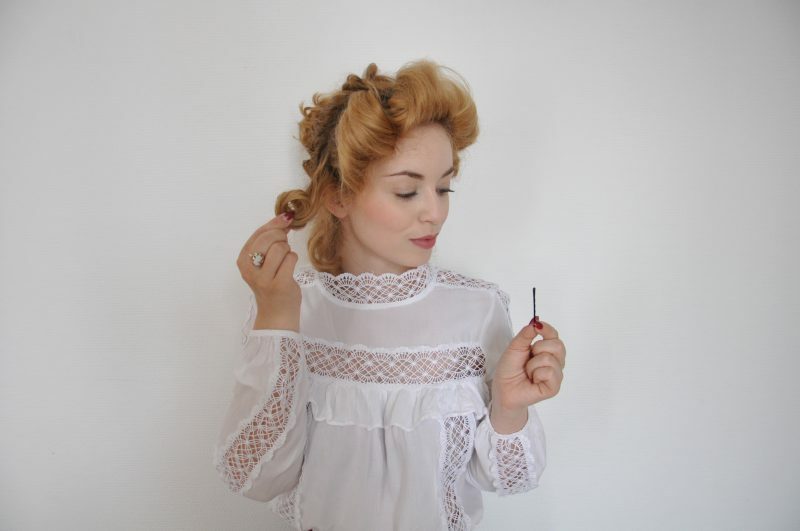 I show you, how to create your own Edwardian hairstyle step by step – including some impressive background stories on strong women of this era. Den deutschen Beitrag findest du hier: Edwardianische Frisur Schritt für Schritt. This Edwardian hairstyle was my first ever creating from this era. Concerning fashion and styling I did not dare to advance to an earlier period than the 1920s, though I really admire hair and fashion of the Victorian and Edwardian ladies. 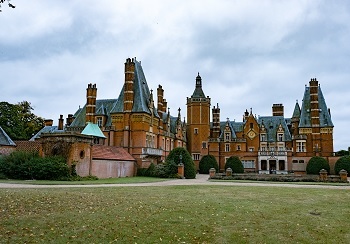 The Edwardian Era of British History is named after the short reign of King Edward VII between 1901 and 1910. This decade was especially shaped by strong women. One movement that definitely needs to be mentioned were the Suffragettes. The Suffragettes movement was mainly represented by middle class women in UK and US and fought for the women’s rights to vote in the beginning of the 20th century. The ladies used peaceful methods, such as demonstrations, passive resistance like hunger strikes or disruption of public, political events. 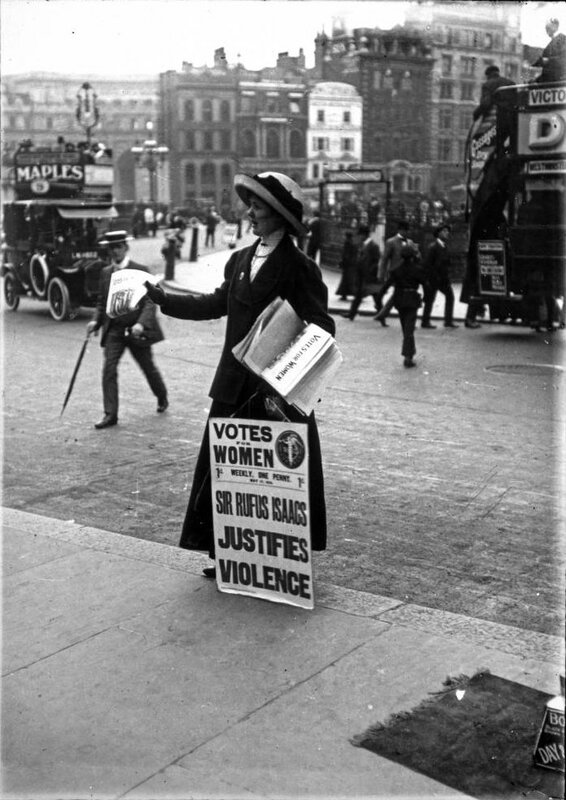 A British Suffragette handing out newspapers, portrayed around 1910. Via Wikimedia Commons. Suffragettes wore the colours violet, white and green. Violet stands for the dignity of women, white for the purity of their concern and green for their hopes. This February, the women’s rights to vote celebrated its 100th anniversary! In this article you find more information about this theme as well as beautiful colorized photographs from this time. Another famous group from the Edwardian Era were the Gibson Girls, which you can see on the illustration below. 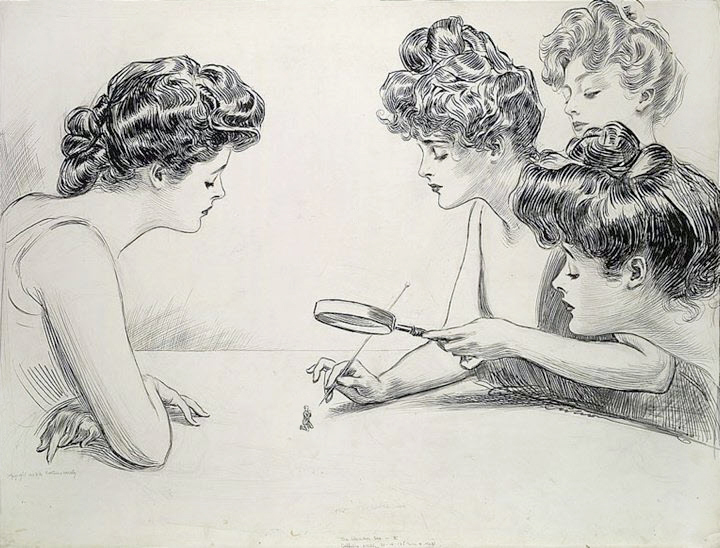 Created by cartoonist Charles Dana Gibson, the Gibson Girls were ideals of a beautiful, independent woman. Gibson’s pictures were first published in the Harper’s Weekly magazine around 1890. Those women with their hourglass figure, a wasp waist and long, thick hair, worn as chignons, pompadour-styles or loose on their shoulders, became visual and social role models for many young, modern American ladies – and forerunners of Pin Up culture. Gibson Girls by Charles Dana Gibson, drawn around 1900. Via Wikimedia Commons. Fashions that are named as „Edwardian“ do mostly relate to trends between the 1890s and the First World War. The higher class of society was inspired in their style by Continental Europe. Hairstyles of this period are characterized by their soft opulence. Though women wore very long hair, they often used pads or fake hair to make it look fuller – especially on formally occasions. The hair was combed upward from the neck to the top and arranged as a roll on the head. The ears were always visible. 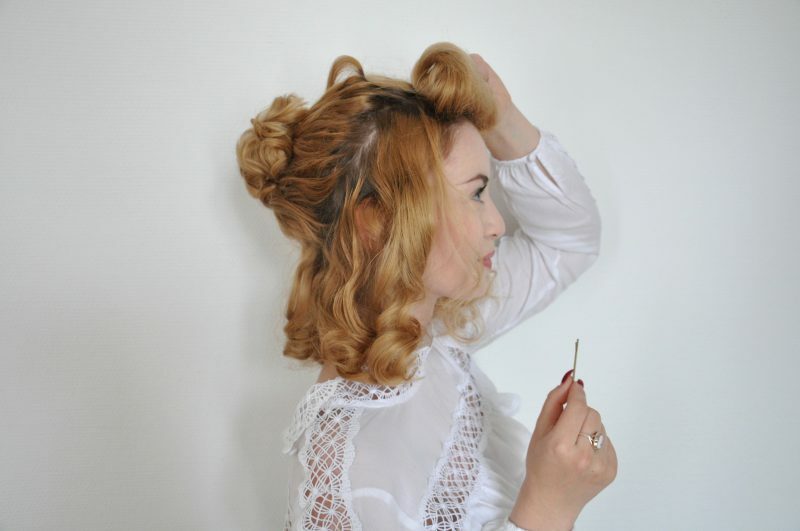 In the following tutorial I show you how to create an Edwardian hairstyle with mid-long to long hair. 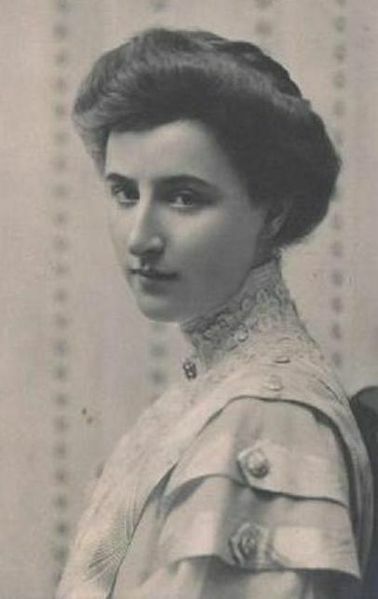 Feodora von Sachsen Meiningen (1890-1972), around 1910. Via Wikimedia Commons. A good prepraration is the best base for your Edwardian hairstyle. A part of this are lots of hairpins and hairspray. Many vintage hairstyles as well as this look are based on curls. 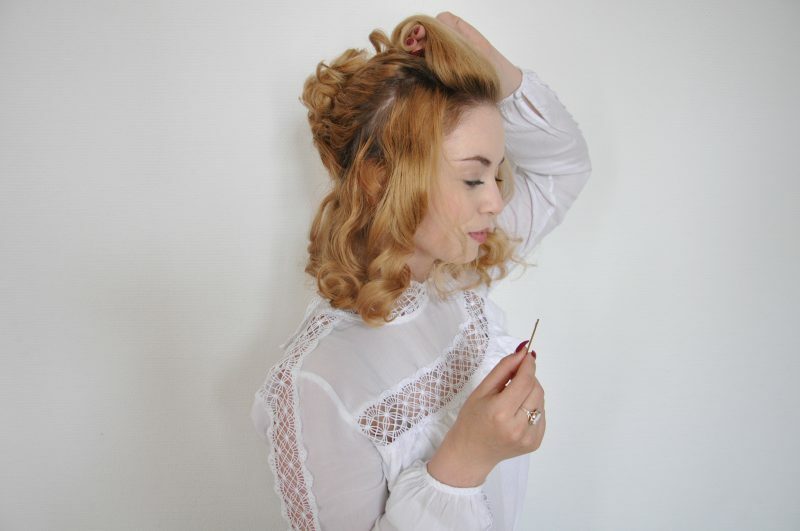 To save time (and keep your hair free from hot irons) you can do pin curls over night. Those small curls are rolled and pinned onto the head. To sleep a bit more comfortable I can also recommend papillotes or foam rolls. These rolls will soon (I guess in March) be available at the shop of Julia Seyfarth. Julia fills them with cotton wool and uses a super cute dark red fabric, which she decorates with paw prints. Papilottes are for example avalible here online*. First wash and dry your hair (I recommend to dry it completely, especially when you have thick hair) and knead in some hair foam. Now you can roll in each single strand of hair. The direction of rolling I always use is downwards (from top of the head to chin), because I simply find it easier. 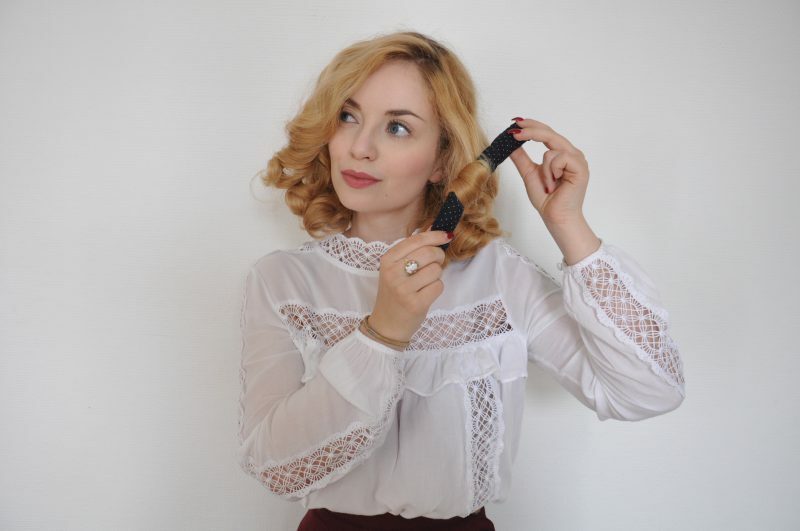 It doesn’t play a big role which direction you roll your curls over night, as we pin them later. The morning after you can open your rolls and finish the base of this hairstyle. 1. First you can loose the curls a bit to be able to work with them. Collect the hair on the back of your head while leaving out the outer ring and make a simple bun. 2. Now we start rolling the hair at the outer circle. It is best when you begin at the front. Take a strand and roll it, begin with the front end – I always use my index- and middle finger – to the direction of your head, from top to back. Keep your fingers in this roll until you clipped it onto the head. To make sure it lasts long I always use at least two pins. Tip: At the first try the rolling could demand a bit patience, maybe also two or three attempts. But you do not have to be too exact, as we can improve the details later. 3. The same step takes place at the sides of the head. 4. And you do the same at the lower back of your hair. Try to pin the rolls to the head in a way they blend into each other. If this doesn’t work exactly, just like at my own try, you can still correct it later. 5. For a little highlight you can leave out a small strand at the neck and let it fall over your shoulder. 6. Now that everything is pinned, you can blend the single strands while softly pulling them apart and covering the gaps. I always use some more pins to fix them afterwards, and lots of hairspray of course. 7. The next step is about the back. 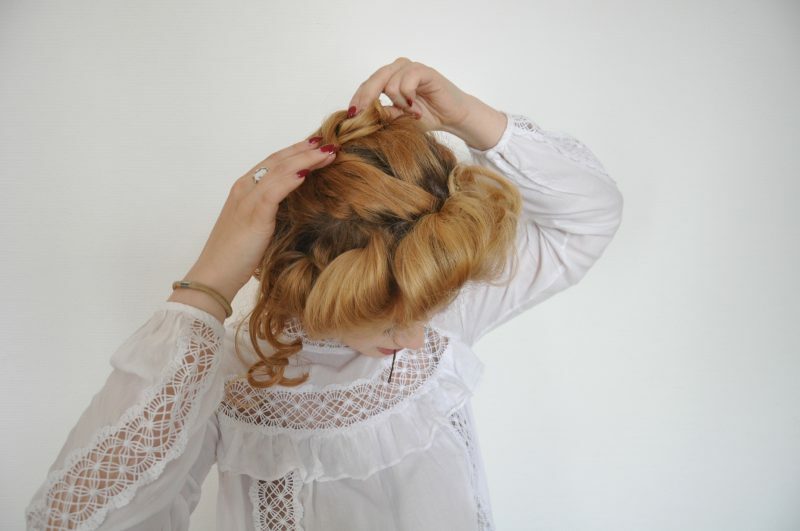 Open the bun and again – just like last nights pin curls – you take single strands and roll them, pin them randomly, loosely onto the head (to make them not look too flat). Another method is making a pony tail at the back of your head first and curling step by step from this base. It creates a centre, around which you arrange the strands. 8. Well done! 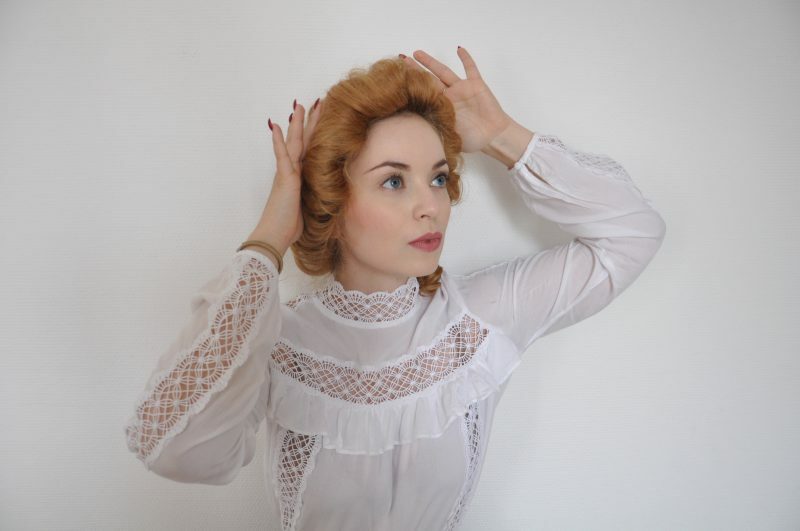 Your work of art can now be finished with loads of hairspray, and this is your own Edwardian hairstyle! The Edwardian makeup is very natural and subtle. A light foundation is a good beginning (of course it needs to match your complexion), as well as rouge, which you apply circular on your cheeks, and a soft, rose-coloured lipstick. For the eyes I use a bit of kajal, just like Edwardian women applied a bit of kohl as accentuation. I chose a floor length dress by Vienna based Designer Antonia from Tigalily Clothing. Of course this garment would be too revealing and modern for an authentic look, but shape and style are inspired by the beginning of the 20th century. The dress itself is not available anymore, but there are simple ways to create a matching outfit with clothes from your wardrobe. The pictures were taken by Antonia as well, shooting for Dreammakers Studio. Beautiful and easy to find are long-sleeved white blouses, with lace or a lovely collar. With these you can combine a floorlength wool or cotton skirt and brown or black laced boots. Recently I found a great pair of Victorian / Edwardian inspired repro boots made of faux leather, which I also love wearing in my everday life. The only small flaw is the thin sole, but I decided to keep the boots and let them be exchanged by a shoemaker. They look beautiful with culottes, as well as skirts and dresses! You can find them here*. Necklace and ring are gem treasures I got from my grandma. Such pieces are available at flea markets for example. But you could also wear a pearl jewellery with this outfit! In the following you see a video of mine, that shows the making of a quite similar hairstyle in a bit easier version. This is an updo that you can quickly do in every day life as well! I hope this post was a little inspiration for you to go a bit back further in time, in terms of styling as well as in remembering the amazing women fighting for our rights in the Edwardian period.